Intern in Internal Medicine – University of Michigan Hospitals – ’88. 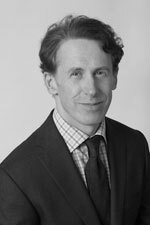 Dr. Philip Bruder received his MD at NYU School of Medicine and is a Board Certified Dermatologist and a Fellow of the American Academy of Dermatology. Dr. Bruder founded Bruder Dermatology in 1994 and is one of the most highly respected and experienced Dermatologists in New York City. Dr. Bruder specializes in hair loss and the diagnosis and treatment of rashes, dermatologic manifestations of internal disease, diagnostic dilemmas and skin cancer. Throughout his career, Dr. Bruder has educated and trained the dermatology residents at Columbia-Presbyterian Medical Center by helping them in their clinics, leading them in review courses, and mentoring.